das isch eine vo dä beschte songs vom ja rule! leider ghört mer das lied nie oder sehr sältä im usgang...! Gute Single, da kann mal niemand von "Weichspüler-Rap" reden. 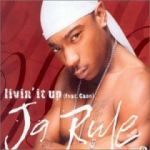 ▒ Verschrikkelijke plaat uit eind 2001 van "Ja Rule & Case" !!! Toch wisten de heren er in januari 2002 de hitlijsten me te halen ??? Nee, is voor mij niet weggelegd !!! (NL Top 40: 5 wk / # 25) ☺!!! Not a bad chorus but the rest is unappealing. Average but not to good at the same time. 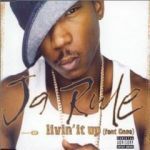 Was great at the time when I was a Ja Rule fan, but now it doesn't appeal to me as much and I just can't get into it anymore. I don't like the way that Ja Rule randomly mumbles a line every now and again but I really like this. The production is great and sticks in the head for a long time after listening to it. While Case's vocals are a bit annoying, I really enjoy his hook and find it to be a highlight of the song. Pity it couldn't have got any higher than #6. It's OK for what it is.